Oh yes, we were skeptical about what seemed to be yet another “fountain of youth” skincare product. We had never heard of HydroPeptide and when the brand’s representatives reached out to us, our initial reaction was less then enthusiastic. It isn’t an issue of not wanting to be up to date on the latest skincare, but more an issue of not wanting to deal with hype. We were so pleasantly surprised to be proven that out skepticism was misplaced. So, what is this new wonder product? HydroPeptide Nimni Cream. Perhaps our initial reaction was based off of a lot of clinical information that seemed to go right over our heads. However, it’s part of our job to research and breakdown that information so that all of us can understand what Nimni Cream is and what it does. Let’s start with the brand itself. HydroPeptide has spent the last decade perfecting anti-aging and that has led to the creation of Nimni Cream. 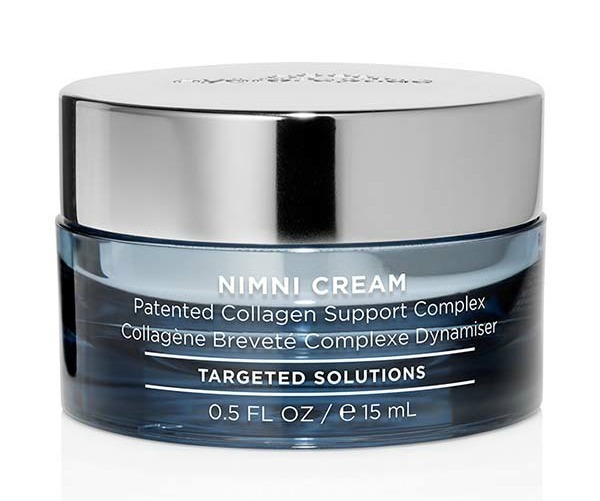 Developed by geneticists Dr. Neal Kitchen and USC's Dr. Marcel Nimni (the doctor who discovered Type II Collagen), Nimni Cream uses a first-of-its kind patented collagen support complex that rejuvenates skin at the epigenetic level. This extraordinary cream activates the collagen-producing gene in our bodies and actually gives skin the materials it needs for collagen synthesis -- so you do not have to rely on your bodies' natural stores. Combine that with time-released retinol and collagen supporting antioxidants and you have a cream that can actually alter the behavior of our genes, significantly improving the appearance of skin's fullness and elasticity from the inside out. Whew! That was a lot of science! HydroPeptide Nimni Cream is lightweight and fast-absorbing, leaving the skin feeling so fully nourished. The scent is so absolutely delicious … but the results are what are important. Check out the video to hear what others are saying and we can tell you that we wholeheartedly agree! You can find HydroPeptide Nimni Cream ($110) online at HydroPeptide and select retail locations.